The Smoky Mountains are a great place to plan a vacation if you are looking to experience nature. Bluegreen Vacations MountainLoft is within perfect distance of attractions and activities so everyone can enjoy Gatlinburg. 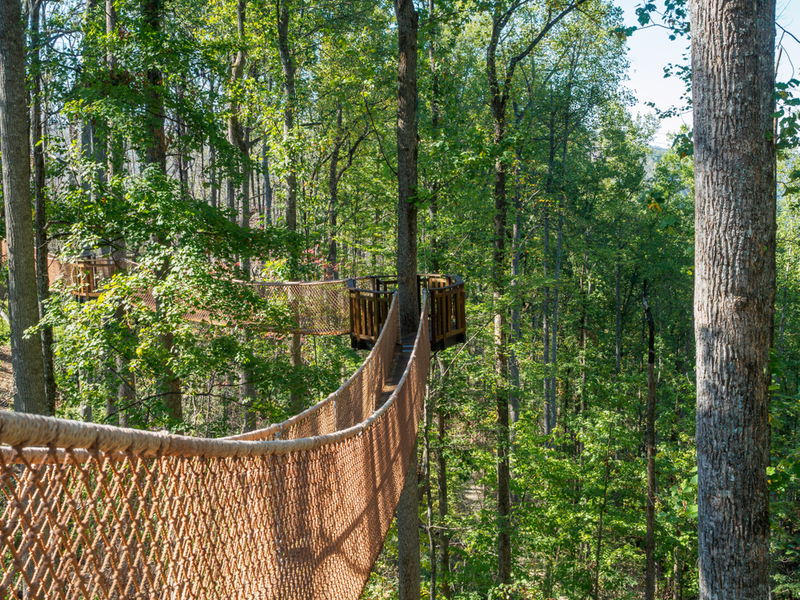 Get reacquainted with the outdoors while also experiencing Tennessee’s nightlife. 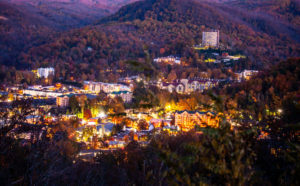 You won’t find a better destination than Gatlinburg, Tennessee for vacation versatility. 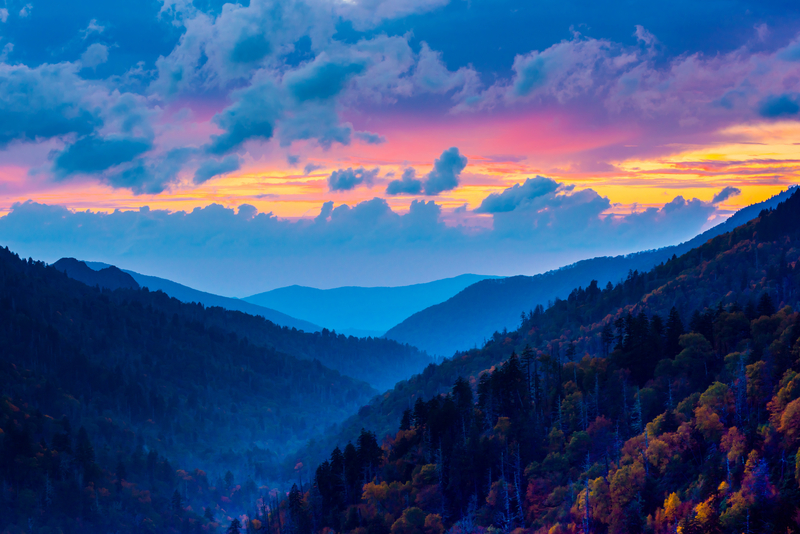 Here, you’ll find yourself able to escape into the Smoky Mountain National Park to breathe in the fresh mountain air. Or, you can head into town and visit the slew of distilleries, restaurants and attractions. With a timeshare in the heart of the Smokies, the great outdoors is as comfortable as ever. If you’re the rugged, outdoor vacation type, Bluegreen Vacations might be the perfect timeshare company for you. A partner of Bass Pro Shops, Bluegreen brings comfort even to the most outdoors-y travelers. Villas include full kitchens and washer/dryers to bring all the conveniences of home with you on vacation. A relaxing sauna and steam room is also present on resort grounds for immense solace. The rooms also feature fireplaces, giving them a cozy mountain vibe. There is also a coffee and hot chocolate bar in the lobby to keep the cold at bay. 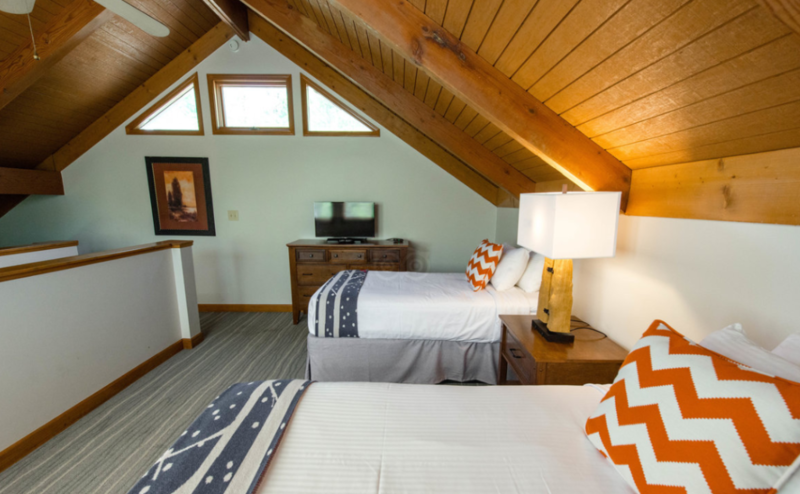 Visitors to MountainLoft will feel as if they are actually entering the actual Great Smoky Mountains National Park. The winding country roads are canopied by oak and pine trees, leading guests to the beloved state park in only eight minutes. The clubhouse and vacation homes are at an elevation of 2,200 feet, giving guests panoramic views of the mountainside. The Smokies have a reputation for being a place to unwind. If you’re looking for a vacation that will really have you feeling refreshed when you get back to work, head to the Smokies. There are dozens of nature trails scattered throughout the region, perfect for hikers of any level. Check out this list of great trails if you’re looking to take a hike in and around Gatlinburg. For a summer hike that ends with a refreshing dip in fresh water, head to Grotto Falls. You can stand behind the falling water and marvel at the crystal clear surface. 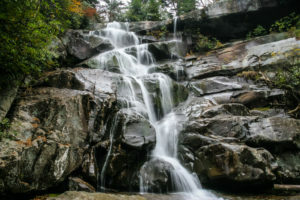 A more dramatic waterfall is Ramsey Cascades, located in the Great Smoky Mountains National Park. Keep this trail in mind if you want a more strenuous hike. From start to finish, this path takes you 2,000 feet in elevation and between five to seven hours to complete. It’s totally worth it for the breath-taking views at the top. After a long day getting acquainted with the mountains, set yourself up for ultimate relaxation at a local spa. The Smoky Mountain Massage allows you to experience the ultimate relaxation as you heal sore muscles from your previous hike. They offer a special massage for pain management with certified neuromuscular therapy. Even if you don’t need something quite that in-depth, choose a couples relaxing massage or a Himalayan bath salt soak. Anakeesta Village is a theme park located in Gatlinburg that was established almost 100 years ago. The 70-acre park welcomes over 11 million guests per year and is dedicated to conserving the forested mountains of the region. Anakeesta is an attraction that focuses on relaxation over thrills. Here, you can kick back with a brew and a view on one of the gondolas that ride up the side of the mountain. You can also ride the zipline for a fantastic view of the park and the surrounding mountains. Near the outskirts of Anakeesta, you can take a stroll through the relaxing Vista Gardens. The park also pays homage to the 15 thousand acres of forest lost to the largest wildfire in Anakeesta Village history. Winding through charred forest, the main trail serves as a reminder of the fragility of the mountain environment, as well as the importance of conservation. Gatlinburg has a rich history and its cuisine shows it. For great mountain eats, head to the Wild Plum Tea Room. The Wild Plum Tea Room serves traditional southeastern dishes in a dining room that resembles an Austrian tea house. Serving lobster pie, muffalettas and fresh brewed wild plum tea gives this cafe almost 5 stars. Got a cheese lover in your travel party? Head to the Hofbrauhaus and Cheese Cupboard. The Hofbrauhaus serves wonderful deli sandwiches. Including the “Super Ruben”, an astronomically sized sandwich loaded with corned beef, sauerkraut and swiss cheese. Before you leave, go downstairs and check out the wonderful selection of local and imported cheeses and cold cuts. For special occasions, make a reservation at The Peddler. Serving perfect steaks for decades, The Peddler is a local favorite offering ultimate indulgence. The king cut prime rib or custom New York strip with a side of sweet potato casserole will be sure to satisfy your taste buds. Bluegreen provides flexibility and quality to over 220,000 vacation owners. Starting in 1986 as a small business that bought, sold and renovated residential properties in Massachusetts, Bluegreen now offers vacation ownership at more than 60 proprietary resorts. 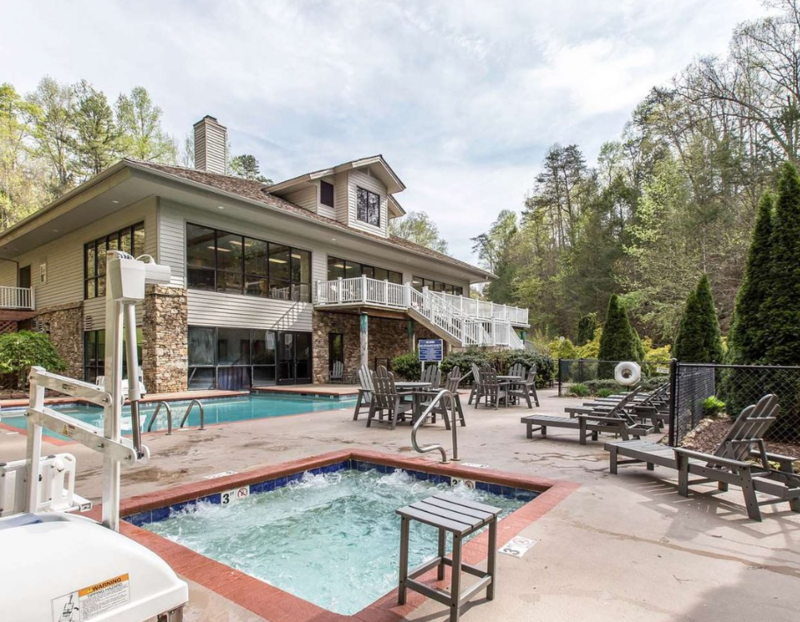 Beginning with MountainLoft in Gatlinburg, Tennessee, Bluegreen quickly grew to be a leader in the timeshare industry.